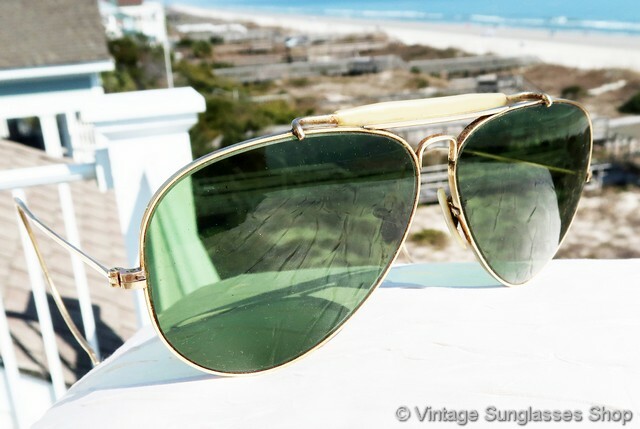 1 Early B&L Ray-Ban 12k GF 58mm shooter sunglasses c late 1960s / early 1970s feature the famous Bausch & Lomb mineral glass anti-glare lenses and the classic teardrop shape of Ray-Ban aviator sunglasses. 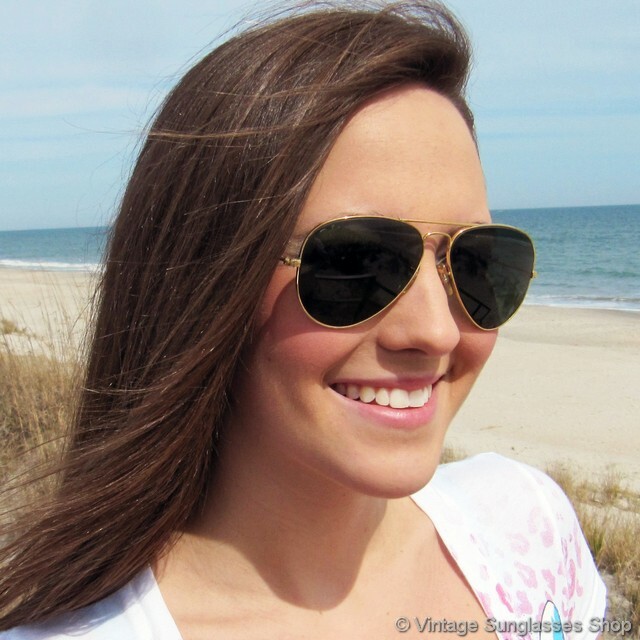 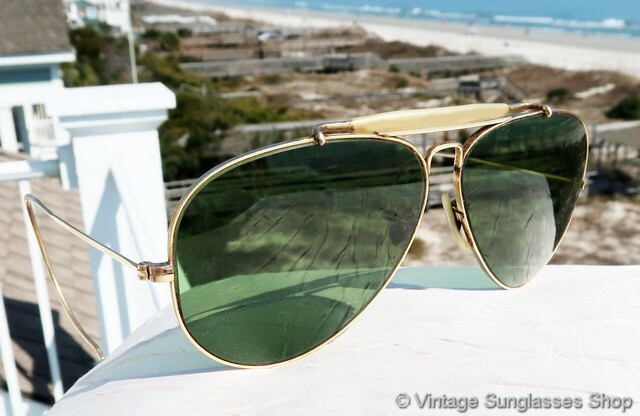 The classic aviator look here is combined with cable "shooter" ear stems that provide a nice, secure fit over the ears, and of course the early green 58mm B&L RB-3 lenses provide 100% UV protection and the optical quality for which vintage B&L Ray-Ban eyewear is so well known. 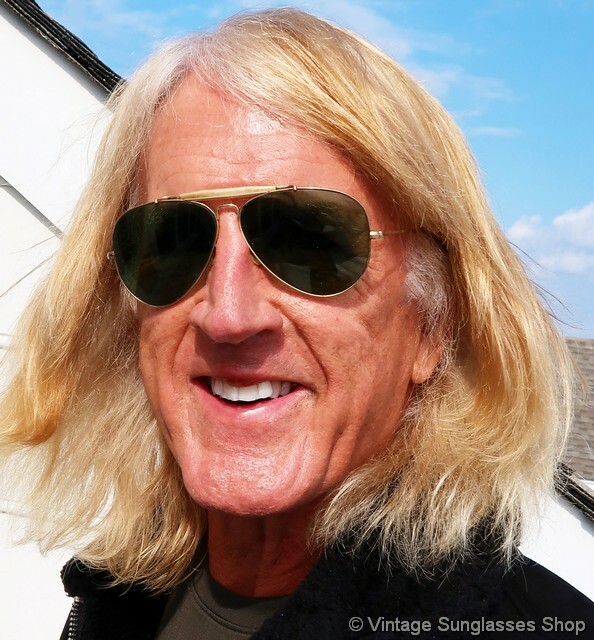 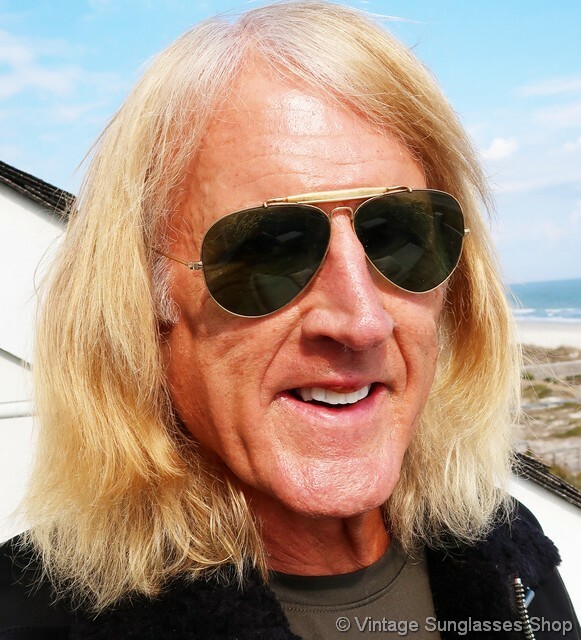 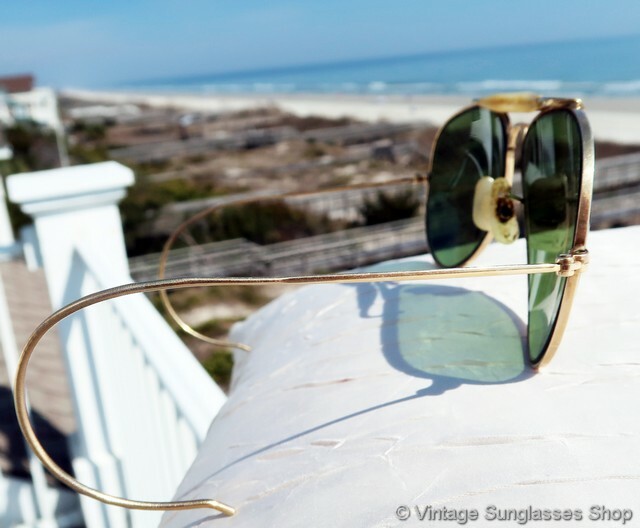 The 12k gold plated frame has the "General" brow bar that acquired its name from the Ray-Bans General Douglas MacArthur wore during World War II, and the top of the nose bridge is impressed B&L Ray-Ban USA and the bottom of the bridge is impressed B&L 1/10 12k GF in the gold plating. 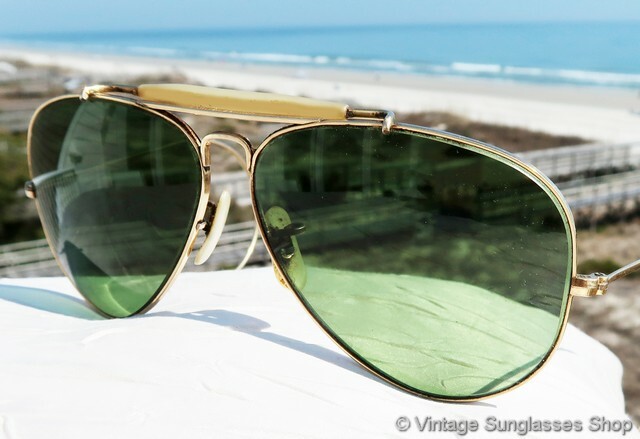 The unisex Ray-Ban Outdoorsman frame measures approximately 5.25" temple to temple while the lenses measure approximately 2.125" x 1.75" at the widest points, part of one of the world's best collections of vintage Ray-Bans from a long time customer of the Vintage Sunglasses Shop. 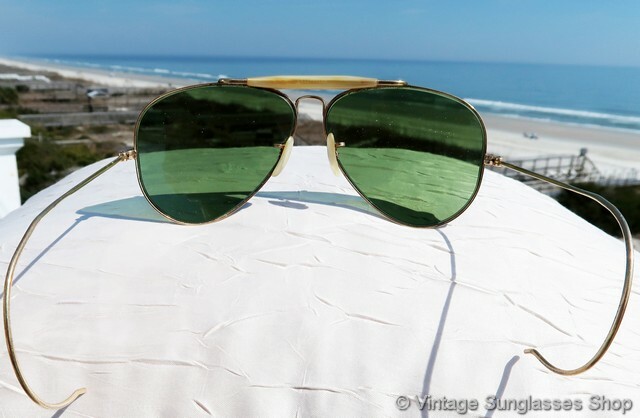 1A Produced even earlier c late 1960s / early 1970s, the size and shape is identical but here you get the earlier, thin bakelite brow bar which is one way we date these early iconic shooters in the B&L Ray-Ban family. 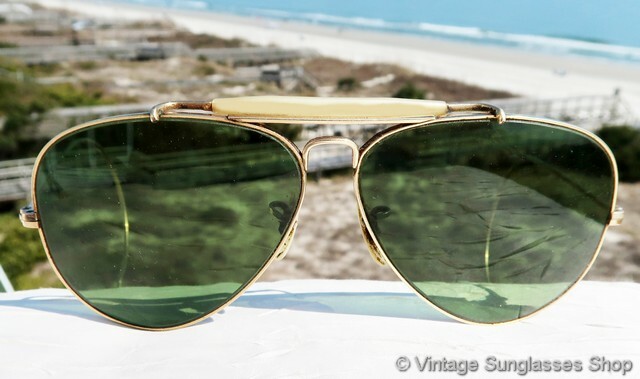 Here, the bottom of the brow bar is identically impressed B&L 1/10 12k GF but the top of the nose bridge is simply impressed Ray-Ban, an earlier B&L Ray-Ban marking convention. 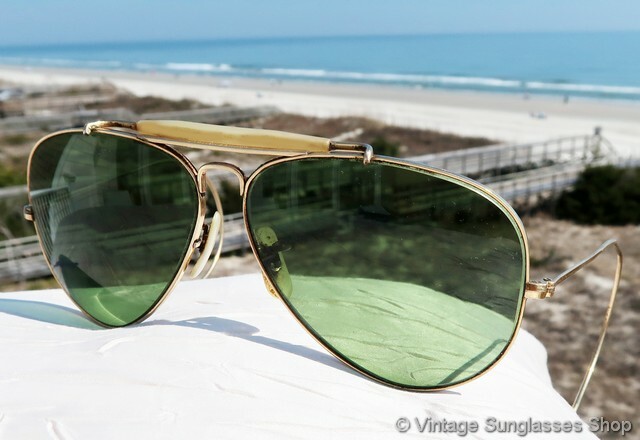 2 Identical to #1 above in appearance, these slightly earlier B&L Ray-Ban 58mm shooters c early 1960s feature a 10k gold filled frame used by Bausch & Lomb for a few years before switching most production to 12k GF. 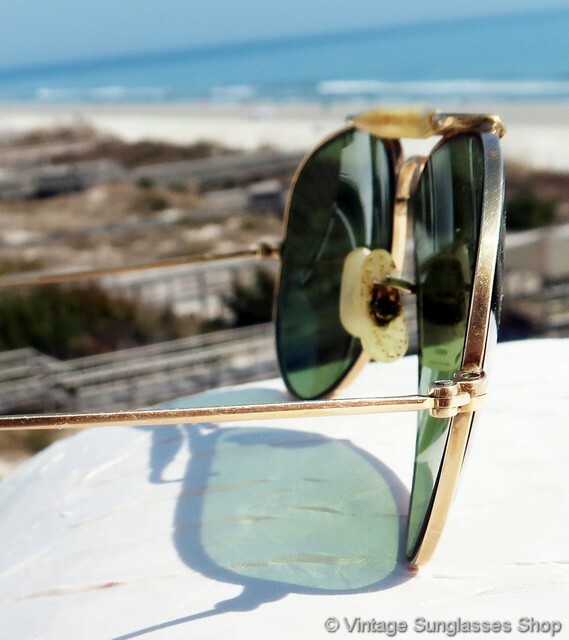 These early B&L Ray-Ban G-15 58mm shooters are marked B&L Ray-Ban USA above the nose bridge and B&L 1/30 10k GO USA under the nose bridge, all impressed in the gold plate. 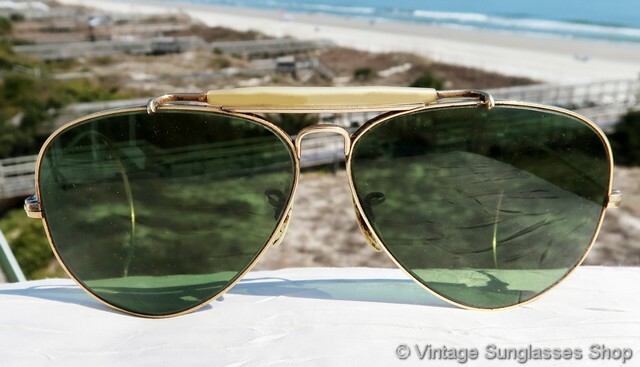 The GO designation (Gold Overlay) is also an earlier B&L mark but conveys the same meaning as the GF (Gold Filled) mark used thereafter.